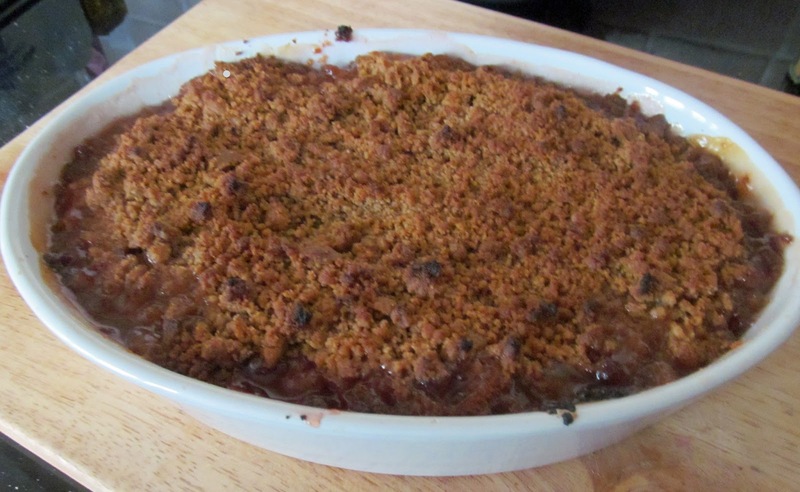 We picked our first Rhubarb from the plot today and the kids and I made a crumble. It's the first time the nippers have taken food from the ground and brought it home for the table and also the first time they have tried Rhubarb. 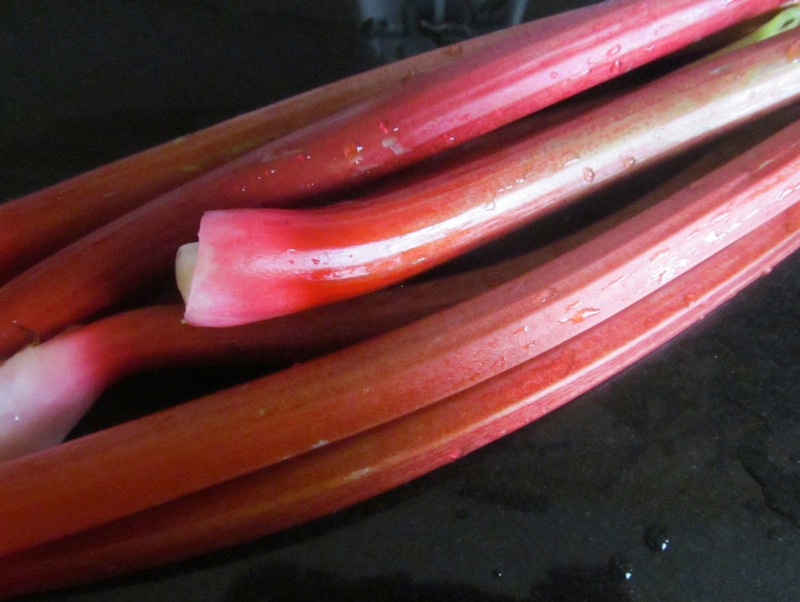 First I washed the Rhubarb and help the kids chop it up into chunks about 2 inches long. They popped the chunks in to a baking tray and spooned over the castor sugar and water. We don't have a tablespoon so we measured out everything roughly with dessert spoons (2 table spoons = 3 dessert spoons) and popped the baking tray in the oven for about 15 mins on gasmark 4. While the Rhubarb was softening up I measured out the crumble topping ingredients and let the kids get stuck in mixing them all together with their hands. I took the rhubarb out of the oven and added ginger and mixed well and transferred it to a cool oven proof dish and helped the kids spoon on the topping and them popped it in to the oven for about 1/2 an hour. What you really can't tell from the photo is how good it smells and how bubbly and jammy the Rhubarb is oozing out from around the edge of the crumble. We ate this plain, I've yet to be able to convince my two to try custard and I hadn't any cream to hand but it was plenty juicy enough. I think that even though I reduced the amount of castor sugar down from the original recipe, it was a little too sweet still but I really liked the ginger. Plot 36 - first bit of planting.